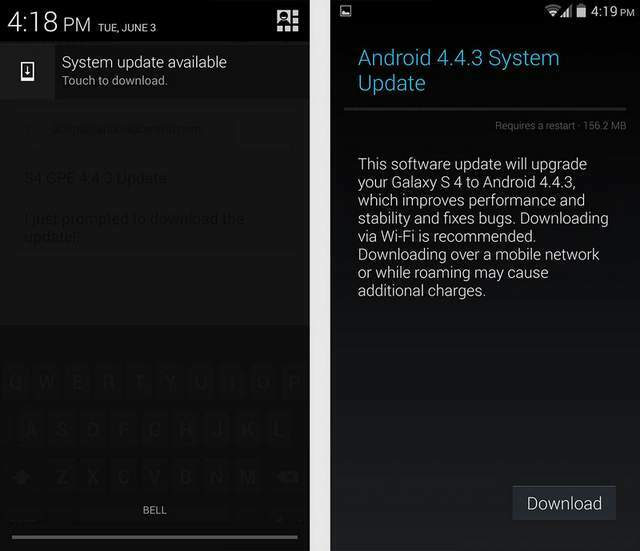 The OS Update to Android 4.4.3 KitKat has begun rolling out to the S4 Google Play Edition. This is the most recent version of Android released by Google, and the S4 Google Play Edition appears to be the first non-Google phone to receive the update. As with all Android updates, this is a gradual roll-out, so not everyone will see it right away. And there’s no word on when the regular S4 and S5 will see this update, but it’s safe to assume at least a couple of months for non-carrier versions of the phones, and even longer for those of us with North American carrier branded devices. The Samsung Google Play Edition combines Samsung’s outstanding Galaxy S4 hardware with a stock Google software experience. No Touchwiz, no (or almost no) Samsung proprietary software, and no carrier bloatware. Also no carrier subsidies, so don’t look for this phone for free with a 2 year contract.